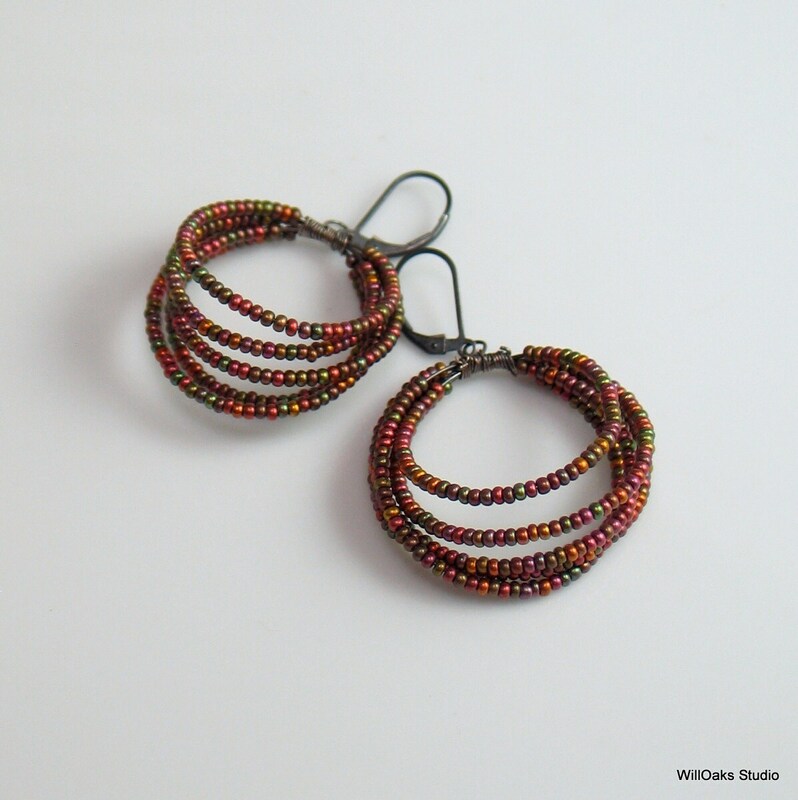 Original hoop earrings hand formed of oxidized sterling silver wires feature coiled hoops beaded with deluxe mixed metallic finished Czech glass. Soft metallic satin finish in shades of copper, gold, rose gold, bronze and brown. 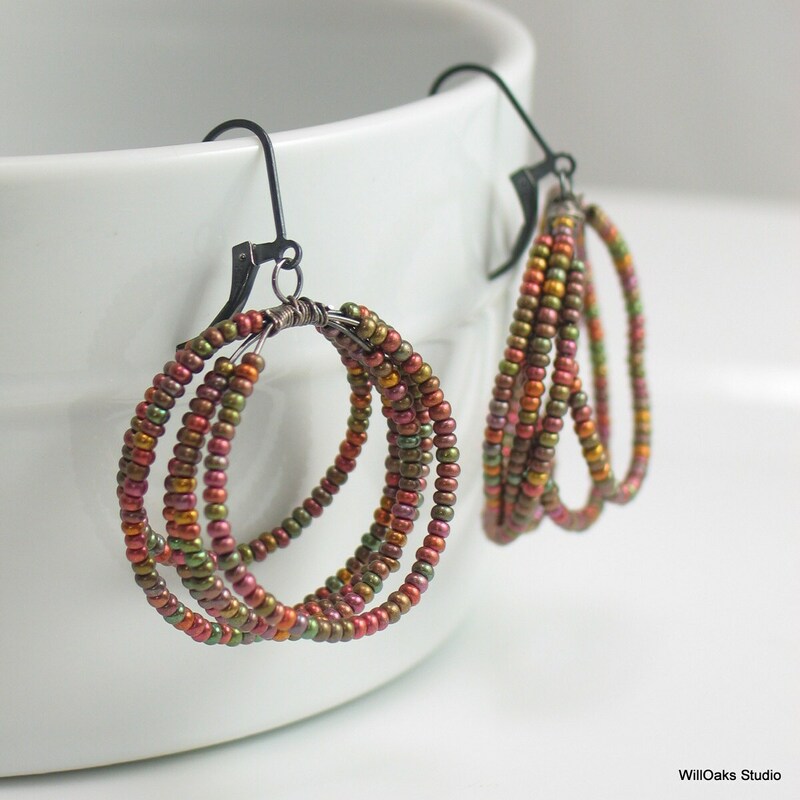 The effect is a subtle satin finish with a mix of nature's colors. 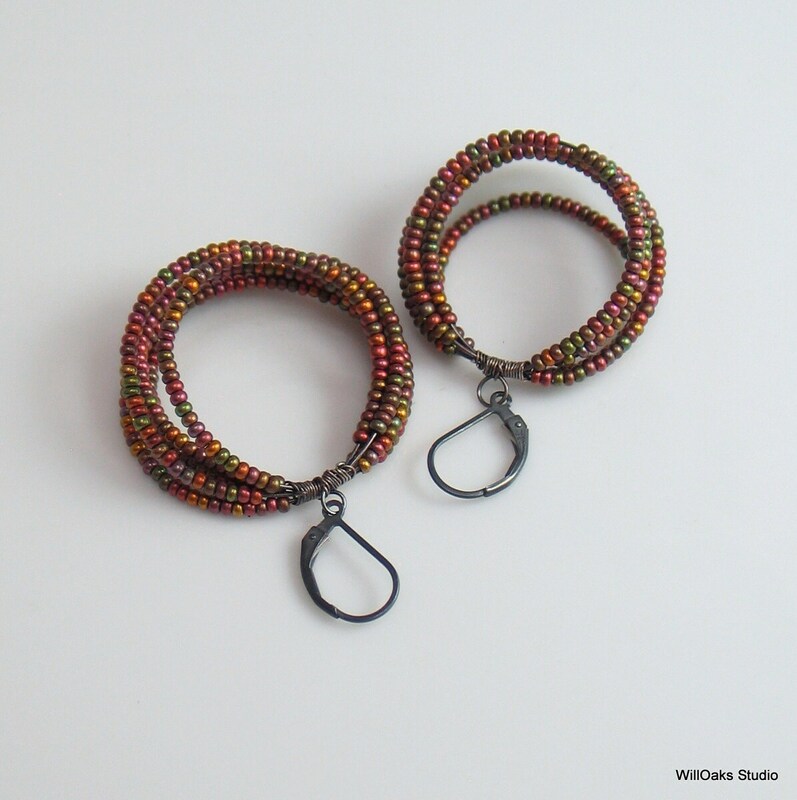 A one of a kind variation on WillOaks Studio Coiled Hoop design using small metallic finished Czech glass seed beads. This structure is made of sterling silver wire and the secure latch back ear wires are of dark oxidized sterling silver. 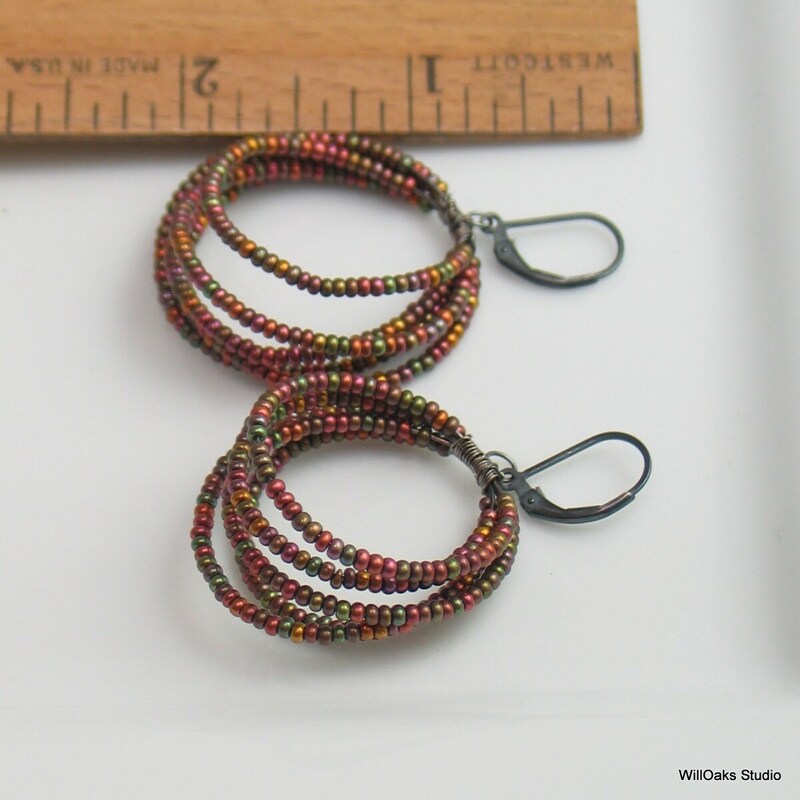 Coiled hoops approximately 1 1/2" diameter and total earring length is just about 2" measured from the top of the ear wire. Ready to ship! 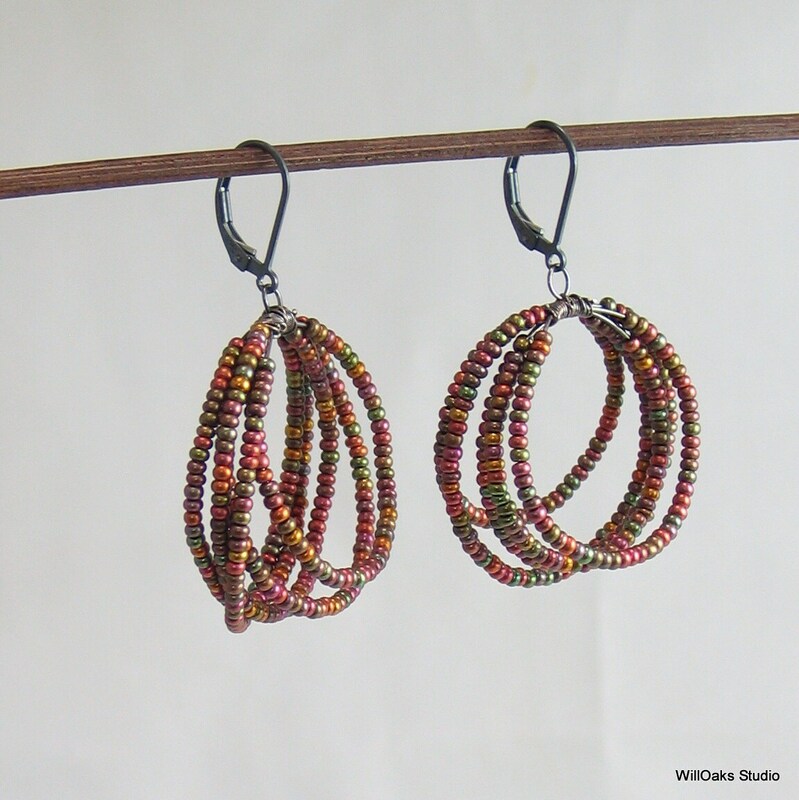 Photos are detailed macro images to show detail - refer to size notes for actual size of earrings. Please contact me via convo if you're interested in custom designed earrings in specific colors!